The attention these days seems to be on introverts, but how much do you really know about extroverts? 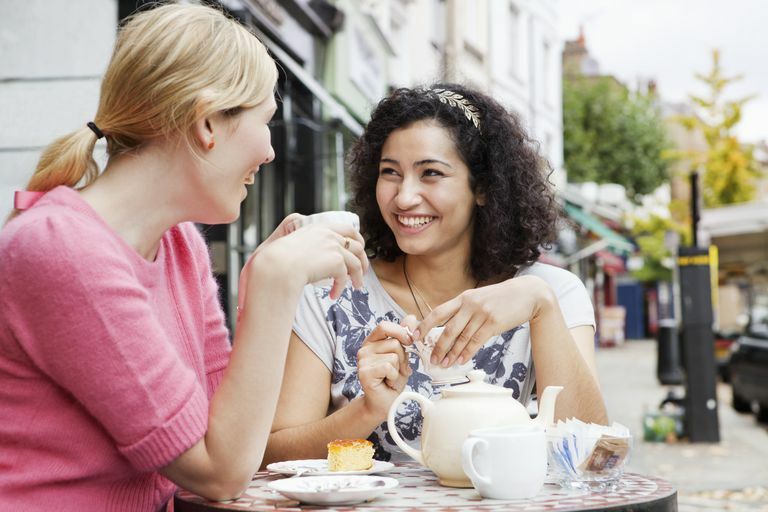 Knowing your extroverted friend's personality can help you stay in touch more easily and get another better. While introverts sometimes feel misunderstood by their extroverted pals, the reverse is also true. People can be good friends regardless of personality type, as long as their understand where their friend is coming from. Here are some things introverts should know about extroverts. Parties are notoriously exhausting for introverts on an intellectual level. Introverts might wonder why their extroverted friends seem to get excited the more people they talk to at a party. The answer is that it's wired in their brains. A study from the Frontiers in Human Neuroscience found that "extroverts are more likely to associate the rush of a feel-good brain chemical with the environment they are in at the time" and "prefer immediate gratification and focus more on face." Introverts, on the other hand, "tend to be overwhelmed by too much stimulation and pay more attention to detail." So instead of getting annoyed by your extroverted pal, who at a party may just wander away from you and talk to several other people, be happy that they are in their element. They get the same happy feeling at a party that you do when you have a great one-on-one conversation or read a book that taps into your heart and mind. Introverts prefer deep topics, and from their perspective, an invitation to dinner means a great conversation with their friend over a meaty topic they can chew on for hours. That's why they'll often be surprised and annoyed at the fact that an extrovert will continue to invite more people over. If you're an introvert, however, more people means you'll have a harder time getting a word in and will be exhausted by the amount of social stimulation. Some introverts may feel that an extrovert isn't interested in them if this happens. After all, if you're having a good time with one person, why invite a few more over? But extroverts look at it the opposite way. When they get revved up by a conversation with one person, they want to add more to the mix. Introverts typically think for a moment before they respond, but your extroverted friend will take that as you being done with your point, so they'll launch right into their own part of the conversation. Introverts are natural listeners. They wait until someone has finished their thought, they look for nonverbal clues to what the person is saying, and they pause before commenting. If this happens to you, let your extroverted friend know that you need a minute. A good tip is to say something like, "please hear me on this," or, "I need to fully finish my thought before you interrupt" so they know you really want them to listen. The key to a good friendship is having both people give a little so they can benefit from knowing the other person. In other words, if you can both change the way you communicate, you'll both reap the rewards of the friendship. In the real world, introverts get frustrated with extroverts (and vice versa) not so much because they don't understand the other person, but because they themselves feel misunderstood. Friendship isn't about getting the other person to come to your way of being, but to find a mutually acceptable place where you can coexist peacefully. Talking with them might not feel as natural as talking with a kindred spirit just like you, but that doesn't mean that a friendship with an extrovert won't be fulfilling in its own way. Thinking of Writing a Letter to Let Your Friend Know You're Mad?